The Arc of Southington - Achieve with us. 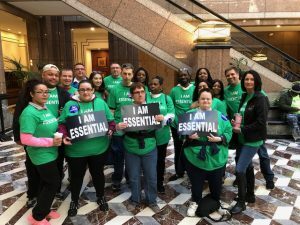 I AM ESSENTIAL was this theme for this year’s Statewide Nonprofit Advocacy Day that took place at the Legislative Office Building in Hartford, Connecticut on April 10, 2019. 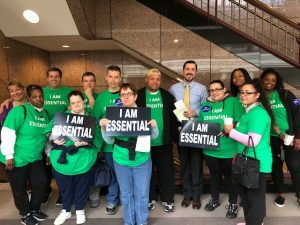 The Arc was proud to participate with 18 individuals that were there to show support and to tell policymakers to keep protecting essential community services. The Arc is hoping to help stop proposed budget cuts that could significantly impact the required funds needed to keep our organization’s important services available to the community. WE WANT TO THANK EVERYONE FOR COMING AND FOR THE SUPPORT. WE KNOW EACH AND EVERY ONE OF YOU IS ESSENTIAL! 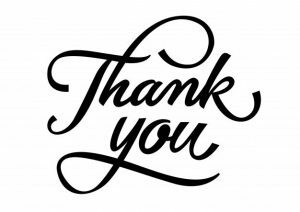 The Arc is so grateful to receive donations from so many wonderful organizations like The Community Foundation of Greater New Britain and The Southington Knights of Columbus. With our sponsors’ contributions and help, we are able to support and maintain our important programs and services. Thanks to The Community Foundation of Greater New Britain, A New Way is able to host their annual variety show in 2019. This year’s theme is We Love The 80’s. 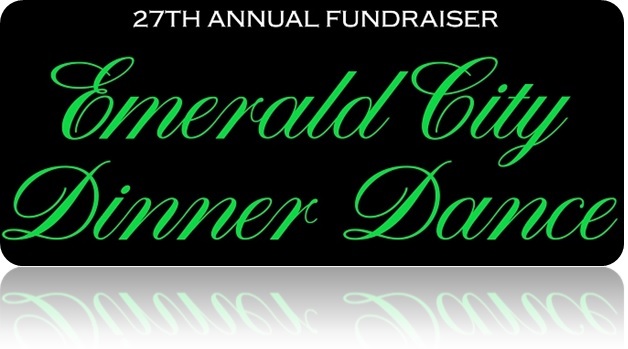 The show will be held at the Plantsville Congregational Church on Sunday, June 2nd from 4:00 PM – 7:00 PM. Read more. 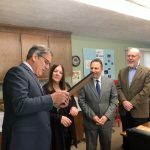 It was a special day on Tuesday, October 30, 2018, at The Arc of Southington. 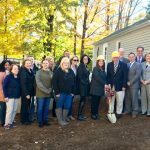 A Groundbreaking Ceremony was held to celebrate the build-out and remodeling of the organization’s headquarters. New offices are scheduled to be built along with expansions to existing offices. Furthermore, interior updates will be completed and a new shed for extra storage will be located in the back of the building alongside additional parking spaces. 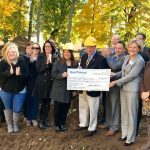 This project will make working at The Arc much better for our employees, as well as make it much easier for people to visit our location. We are so thrilled and honored to be recognized for the important work we do. 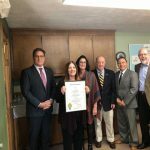 We would like to thank Senator Joe Markley, Representative Rob Samson, and Representative John Fusco for their support and for providing an official Citation from The State of Connecticut. We would like to thank The Main Street Community Foundation as they presented our CEO, Sandra Amato, with a check for $75,000 to put towards the project. And we send a special thanks to our Board President, Walter Rice, and to all of The Arc staff for being a part of this wonderful day. We are so thankful for everyone’s contribution and support!